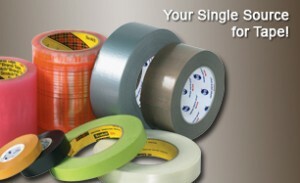 We are your one stop source for Tape! Our stock assortment contains over 1,000 different tape items so you are sure to find the right size or style for your application needs. We offer products from all of the major tape manufacturers such as Permacel, 3M, Tesa, Shurtape, and Intertape to name a few. Spencer Packaging also provides a complete line of Medical Specialty Tapes. Products include transdermals, wound closure, laminations, and special projects, including custom skiving of foam used in medical packaging applications. Medical tapes are available in roll form and in die cut configurations. Custom design assistance available.